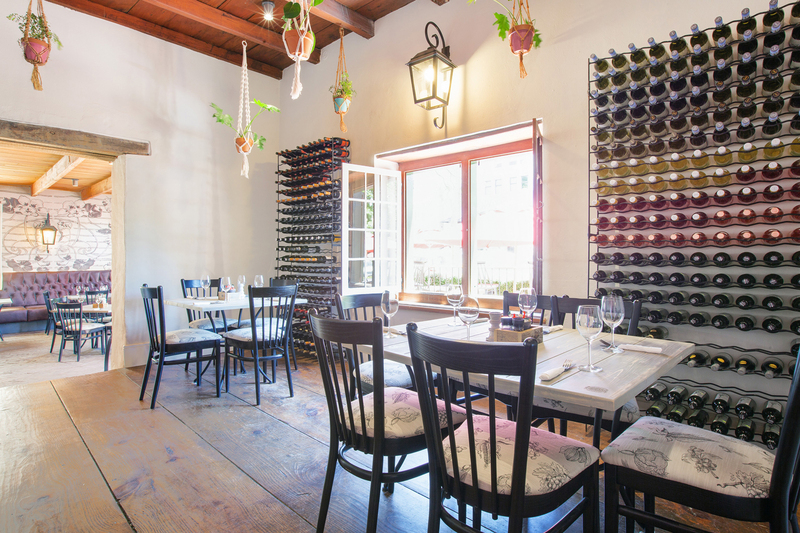 In November last year, Fairview and Spice Route owner, Charles Back, together with his far-removed cousin, Raphael Back, opened the doors to Back’s, a restaurant and deli situated on the main street in historic Paarl, with a strong focus on locally sourced organic produce. 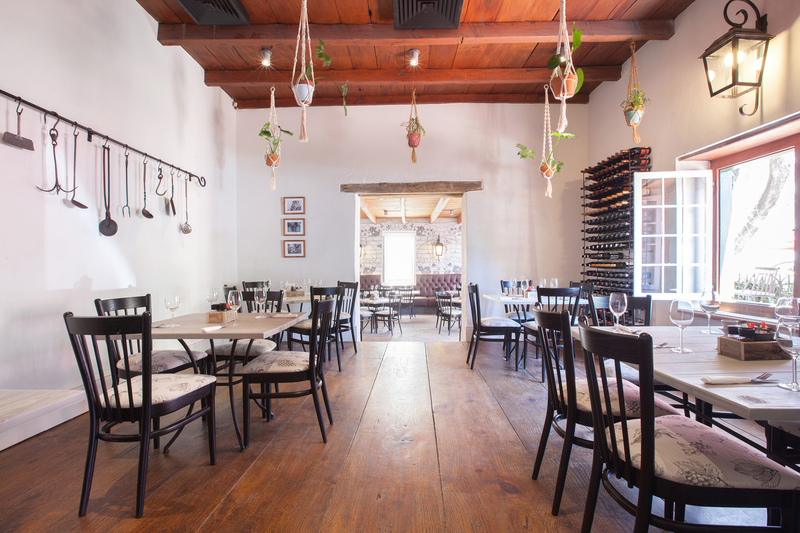 The restaurant was designed by Cape Town-based interior architecture and design specialists, Xperiencemakers, who have been turning spaces into rich experiences for over 18 years. Their brief? To create an interior personality with bespoke elements that complemented the new Back’s brand. 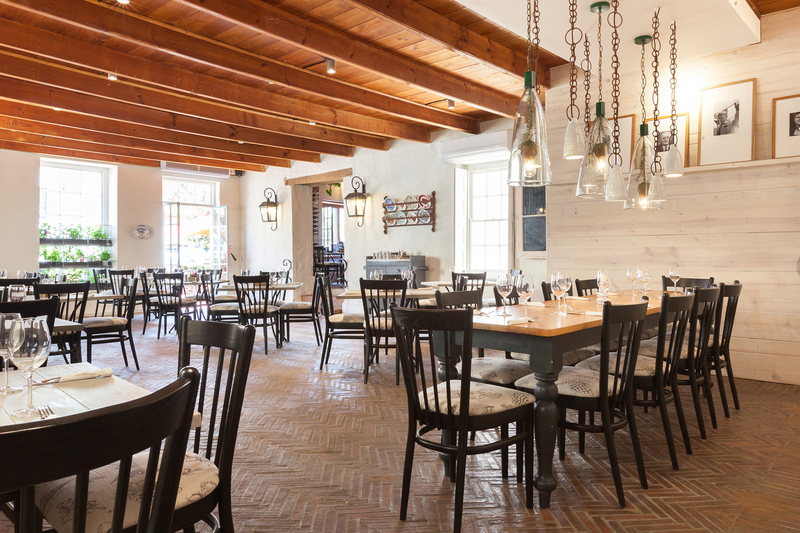 In designing the restaurant and deli, the team took into consideration the Back family’s French history as well as its Cape Town and Paarl roots. The result is a bistro-style eatery with an inviting, relaxed atmosphere where customers are treated to free-range and organic produce sourced from the Back’s farms and local artisans. 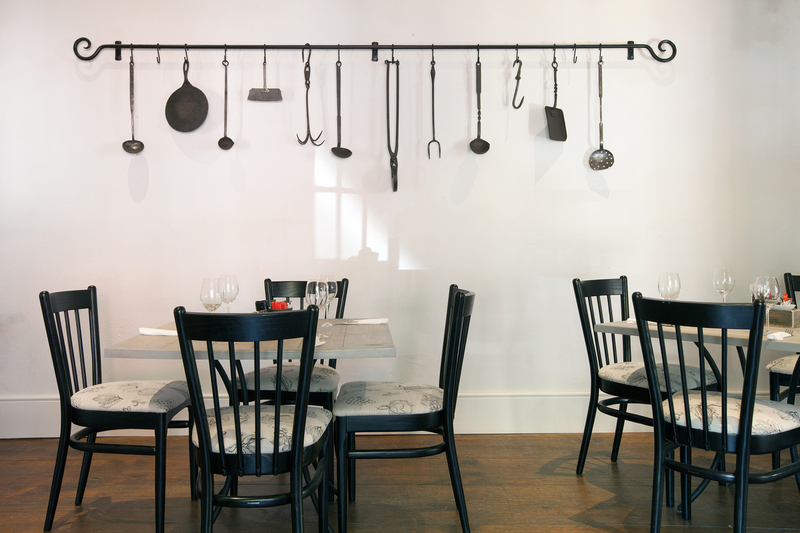 As with any French-inspired bistro, the iconic bistro chair was a key feature in the design and it was for this element that the interior team turned to Woodbender. What made Woodbender the perfect choice? Over the years, Xperiencemakers has referred multiple clients to us and there were several reasons it chose our team to develop a custom chair for this particular client. Firstly, quality and craftsmanship were a key consideration and we pride ourselves on having delivered quality bentwood furniture, handcrafted by a team of specialists, for over 30 years. 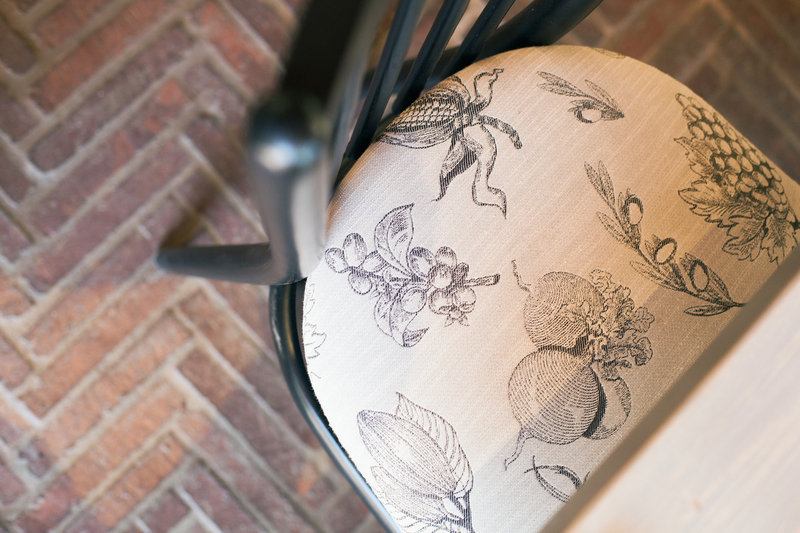 With the restaurant serving carefully curated local produce, it was imperative that the chairs were made using natural components. Woodbender furniture is handcrafted from solid Ash timber imported from certified and sustainably managed forests in North America. The studio also needed to combine quality and comfort in a chair that was guaranteed to go the distance. 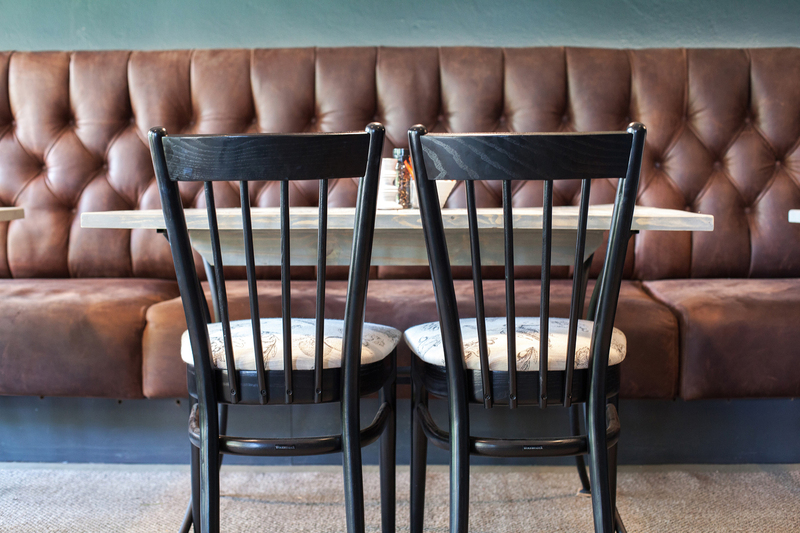 Every chair that leaves our workshop is designed and crafted with quality and comfort in mind and, as for durability, we are very proud of the fact that our first customer is still using the same restaurant chairs we delivered 30 years ago. Finally, Xperiencemakers was looking for the creative freedom to design unique pieces for Back’s. As all Woodbender furniture is made to order, the design team had the option of combining different backrest, seat and leg options with their choice of finish and fabric to create an exclusive product that enhanced their client’s restaurant environment. The end result? A chair with a spindle-style backrest – an homage to the traditional bistro chair – with a dark matt ebony finish that highlights and complements the graphic nature of the custom designed fabric by Xperiencemakers. Keen to place your own custom order with us? Contact us on (021) 854 6034, email us at info@woodbender.co.za or request a quote. To get in touch with the team from Xperiencemakers, visit their website or contact them on +27 21 442 5709.